SGLT2 inhibitors are a new class of type 2 diabetes medication. Such drugs subvert the normal function of the kidney, which is to put excess glucose into blood circulation, by causing the kidney to pass large amounts of glucose through the urine instead. They differ from many earlier diabetes drugs already on the market, which work by altering the availability or function of insulin. Invokana was the first drug of its category to be approved and was prescribed almost half a million times by the second quarter of 2014. In addition to their reported effectiveness, SGLT2 inhibitors became popular because they also resulted in moderate weight loss and lower blood pressure in some cases. In May 2016, the FDA issued a safety communication to medical providers and patients regarding amputation risks linked to Invokana. Health regulators took swift measures to publish this drug alert based on the findings of an ongoing trial, which showed patients who were taking canagliflozin were more likely need a foot or leg amputation. The study also found that canagliflozin patients were more inclined to require toe amputation. While the research is far from conclusive, the FDA is encouraging patients who are being treated with either Invokana or Inkovamet to get medical attention if they develop any of the following symptoms: infections in the feet or legs, unusual pain or soreness, or ulcers. Health regulators stressed that barring other evidence regarding Invokana amputation risks, patients should not stop their medication without first consulting with their doctor. The agency will continue to investigate this serious side effect and update the public as information becomes available. Ketoacidosis is a condition in which dangerously high levels of acid (ketones) form in the blood. Left unchecked, the condition can lead to severe dehydration, loss of consciousness, coma, and, ultimately, death. 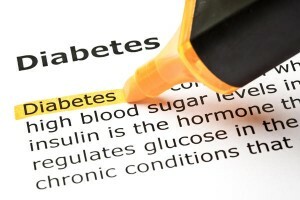 Usually, it is patients with type 1 diabetes who are at risk for ketoacidosis. However, the FDA has recently identified a number of patients taking SLGT2 inhibitors to treat their type 2 diabetes who have developed the condition. The agency issued a safety announcement on May 15, 2015 in which they reported 20 adverse event reports involving ketoacidosis among SGLT2 inhibitor users between March 2013 and June 6, 2014, with additional reports coming in subsequently. All patients required hospitalization or emergency room visits; there have not been any reported deaths. The agency asks that all such incidents be reported and that patients taking SLGT2 inhibitors seek immediate medical attention if they notice ketoacidosis symptoms. There have also been reports of Invokana kidney failure in addition to the ketoacidosis problems cited above. On the heels of the FDA’s ketoacidosis warning, the Institute for Safe Medication Practices (ISMP) issued their quarterly report on May 21 with a tally of 457 serious adverse event reports (SAER) associated with Invokana in particular, with a number of the SAERs associated with kidney problems. Some medical experts note that kidney problems may not be a surprising side effect, given that the very nature of the way that the drugs work would put a strain on the kidneys. There have been conflicting reports regarding SGLT2 inhibitor drugs and possible heart related side effects. An FDA spokesman expressed concern about the ambivalence of initial findings about Invokana even as it was approved in 2013. The agency required Johnson & Johnson to perform five different post-market studies of different side effects. One of the required studies was the Canagliflozin Cardiovascular Assessment Study (CANVAS) of heart safety, which enrolled a total of 4330 participants at risk for cardiovascular events. The study, released in 2015, found that although there was an elevated risk for stroke and heart attack during the first 30 days of usage (13 patients suffered a stroke or heart attack compared to one person taking a placebo), this risk was actually reduced after the initial 30 days. Although some experts see these statistics as low, relative to the potential benefits of the drug, others believe that Invokana and other drugs have not been adequately studied to provide a clear understanding of potential risks. No mention of heart attack or stroke risk appears on the label of Invokana or other SGLT2 inhibitors. Do SGLT2 inhibitor benefits outweigh risks? Thus far, it may not yet be clear if the benefits of SGLT2 inhibitors are substantial enough to outweigh potential risks of ketoacidosis, kidney problems and cardiovascular injury. Concerns continue to be expressed that SGLT2 inhibitors have not been proven to be safer or more effective than diabetes type 2 medications already on the market. The FDA has pledged to continue its own investigation before making any changes to the prescribing information.